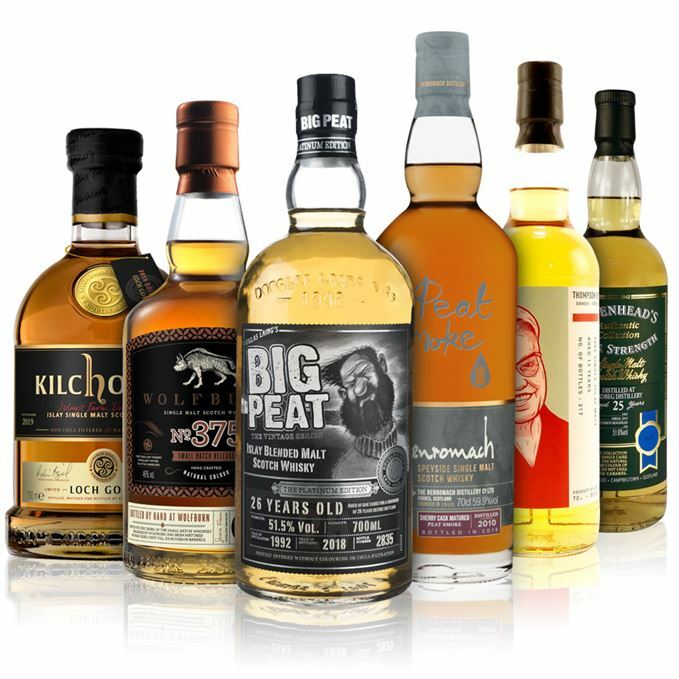 Smoke is the main theme this week, as Dave Broom burns through an Islay quartet and a Speysider. Broom examines how oak and Sherry work with smoky distillates before rounding off with the latest small-batch from Wolfburn. 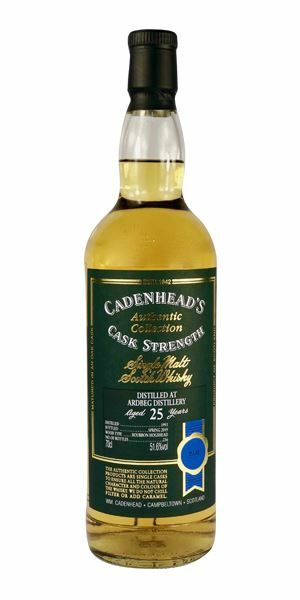 A 25-year-old Ardbeg from indie bottler William Cadenhead is big and oily with notes of seaweed-infused butter and goat’s cheese. As tarry and filthy as any Ardbeg lover could want. Onto an eight-year-old Benromach, the Speyside distillery’s first Sherry cask-matured whisky, which contains big Sherry notes and a nutty, cheesy exterior. ‘There’s balanced smoke here,’ finds Broom, as paprika gives way to a campfire. 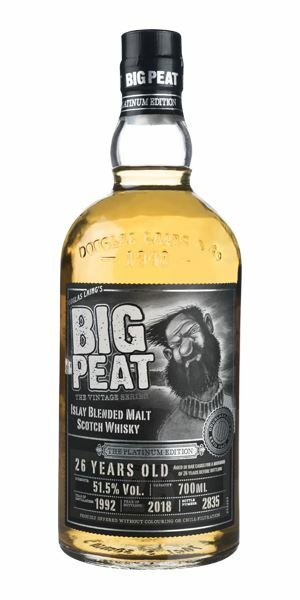 Big Peat, Douglas Laing’s Islay blended malt, joins the fray with a 26-year-old – the second edition in the brand’s Vintage Series. It’s sweeter and gentler than the name would suggest, with no noticeable heat. 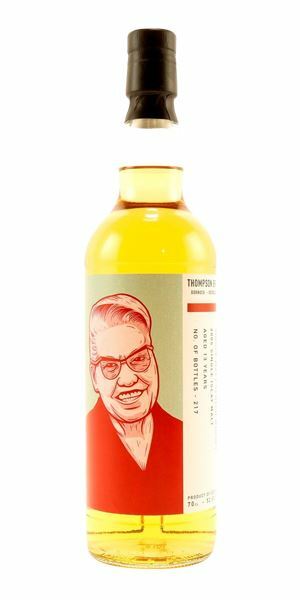 The latest release from Dornoch’s Thompson Brothers is an unnamed Islay malt, although its label bears an illustration of Laphroaig MD Bessie Williamson. Inferences aside, Broom discovers a lovely dram with the scent of adventure – Mexican roads and doused campfires. Finally, Wolfburn’s small batch No. 375 is succulent and juicy. 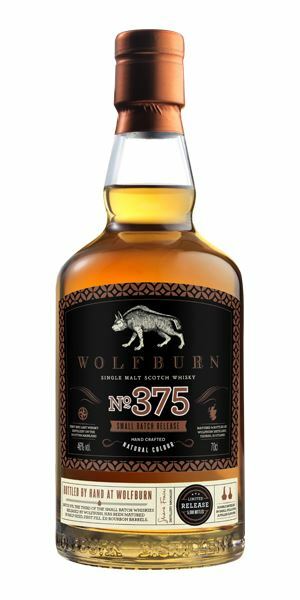 Although young, it’s got sophistication and continues to mark Wolfburn as a distillery to watch. The playlist opens with an Ardbeggian crash from Scottish composer Anna Meredith, then camps out with Scott Walker before awaking in the Morning Dew next to Lee Hazlewood. Click on the links in ‘Right Place, Right Time’ to hear more. Big! Castor oil and smoke, with seaweed-infused butter (yes, it’s a thing) served on wet slate with shiitake mushroom. The aromas are oxidised, fatty and mature, the wood kept at bay. In time, there’s touches of crumbly goat’s cheese – in fact, it’s a goat shed. This nods briefly towards Brora, with the aromas teetering on the verge of being off. Water amplifies the oiliness into an amazingly persistent, roiling viscimetry, plunging you into peat bog flavours. There’s also hints of smoked duck, maybe even guga (young gannet) and a farmyardy punch. More oil – cod liver this time – and an oozing spread of black peat, some liquorice, then wood ash and buttermilk, before the smoke rolls in alongside sea wrack and waves breaking on the rocks. Water introduces coal tar, while remaining Ardbeggian in its crevice-exploring manner. In time, some charred timbers and sweeter fruit. The shore after a storm. Not a headbanger in terms of smoke, just enormous, phenolic and filthy. Nemo’s Nautilus rises from the deep. Immediate big Sherry notes here, on the nutty, almost cheesy side of oloroso. There’s light cereal and less smoke than you’d expect. Things then move to the resinous side of things, alongside a hint of musk and hot sealing wax. Water brings out rich fruits, a roasted raisin quality akin to Porter and a little more woodsmoke. There’s balanced smoke here, along with sticky toffee pudding and light tannins. It grows beautifully into stewed rhubarb, then some dry sacking, more of the black fruits. The smoke is well integrated, adding a gentle paprika-like smolder. Water changes (and increases) this into campfire, while the Sherry works with the fruits to create an almost off-dry quality. Great balance. A damn fine distillate and great quality Sherry cask. A relaxed walk in The Gloaming. Smoky and lightly perfumed in a parma violet way, along with a squirt of lemon juice, oyster brine and then light grassiness. Very precise and quite intense with a peppermint element that changes into wintergreen and Vick’s vaporub. Flinty and saline. The perfumed element continues with water, although the smoke is now breezier and with an extra hint of carnations. A sweet start, then licking dried sea salt from warm skin. A lightly oily mid-palate alongside some pineapple and estery characteristics. There’s no noticeable heat, rather a subtle and slightly ethereal effect which is enhanced when diluted, giving it the quality of an inhalation of smoke-filled salt air. There’s low wood here, allowing you to see how smoke gently evolves over time. Lovely focus. Discovering the Pearl in the Oyster. There’s light smoke here along with burning herbs, old-fashioned lemonade, then a lanolin or a medicinal quality. It’s quite dry initially, the smell of dusty Mexican roads, canvas and a spent campfire before – from out of nowhere – a blast of cinnamon. When water is added things become more fleshy, with some nuts and fragrant smoke. Sweet, with some salted cashew, lots of pear and some gooseberry jam in the middle, before the peat hits smack in the middle of the tongue. It becomes increasingly heathery, with touches of salinity on the back palate. With water added, you’re back to the dry dustiness of the nose and while you lose a little of the delicacy, you get a little more weight. Overall, gentle, subtle and balanced. A fresh, rather lovely dram. Out in the wilds singing your Blanket Roll Blues. Funky Sherried notes, some boot polish, light malt and a hint of bicycle inner tube which is then overlaid with digestive biscuit dunked in sweet chai, curry spices – garam masala and curry leaf, mostly – before old amontillado Sherry and a light vegetal note. Water is needed to calm it down while also adding in citrus peels, tarry smoke and an earthiness unusual for Loch Gorm. 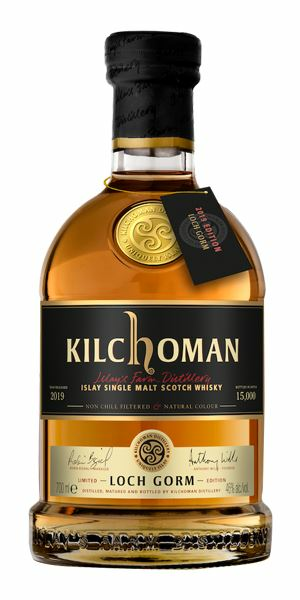 This starts off in pretty boisterous fashion for Kilchoman, with plenty of cask influence (like the Benromach) that moves things towards pecan pie, blackcurrant and plum sauce before smoke, seashore aromas and clove start to make their presence felt. There’s light figgy Sherried elements, supple tannin and saltwater taffy. Water makes it more fragrant and helps to showcase the overall balance. The rubber note has disappeared and what you are left with are mellow, deep fruits… and the funk. Oil of cloves, Olbas oil and drying smoke. Needs time (and water) to show its full qualities. It tries to duke it out with the wild Islay boys, but then remembers it is just too well-mannered to compete with them. 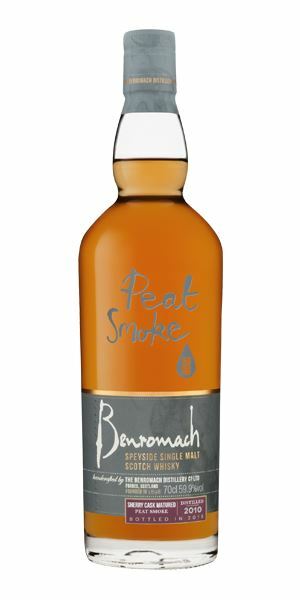 Assertive mix of sultana, ripe pear, some lily, a lick of cream and then some firm, slightly sappy wood which adds a green touch (and a slight aggression) before Sherried elements return to settle things back down. Water makes the whole package more coherent with some stewed fruit. There is balance here alongside a ripeness of character and, for the first time, a sign that the weight which has always sat at Wolfburn’s heart is beginning to deepen. The results are succulent, honeyed and juicy. Water introduces more vanilla pod, sweet apple and apricot elements, with a clearer balance. Light, sweet milk chocolate. Young, but already with some sophistication. There’s a slight initial edginess, but this is another great missive from the far north. A distillery to follow. But you knew that. Walking out in the Morning Dew.